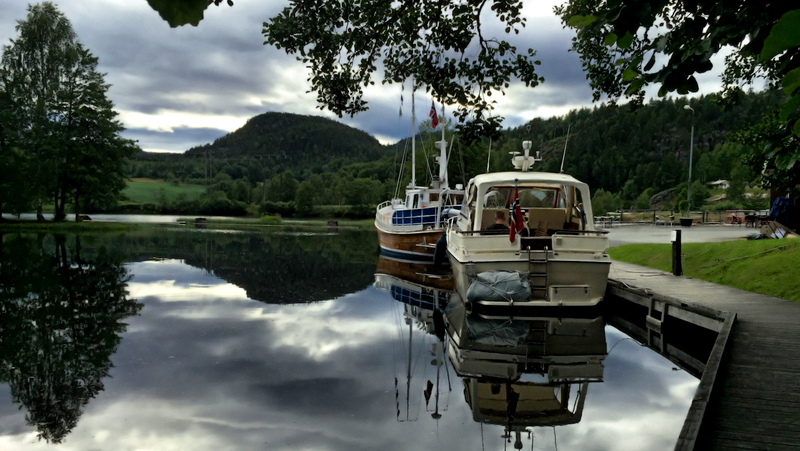 Sailing along the Telemark Canal must be a safe way of travel vs. sailing in open sea. Here by the Canal locks at Lunde where some boats will stay overnight in the fair weather this summer day in July. The Telemark Canal was carved into the rock over 100 years ago. When the canal was completed in 1892, it was called the "eighth wonder" The Telemark Canal - one of the most beautiful waterways in the world. In addition, you can also experience the canal by car, bicycle or on foot. Therefore, it is now possible to experience the Telemark Canal by ferry, charter boats, your own boat, canoes and kayaks.It consists of two waterways; Skien- Dalen and Skien-Notodden. 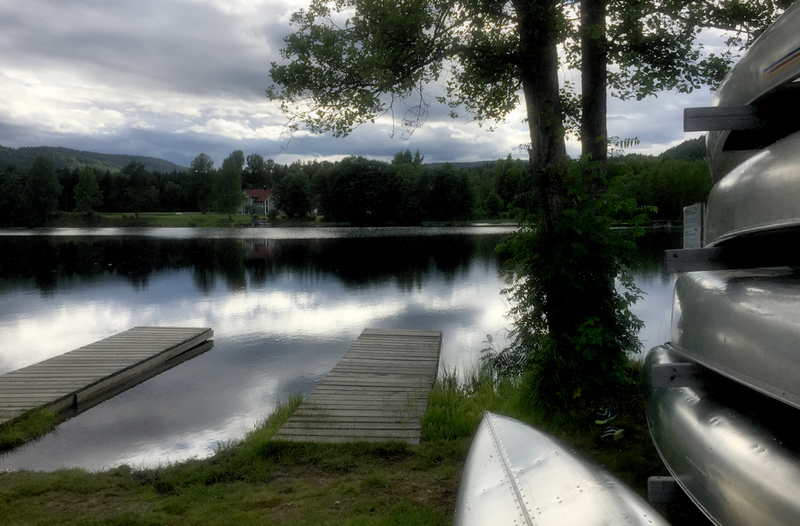 The canal connects the coast of Telemark with the interior through eight locks at a distance of 105 km from Skien to Dalen. .